All aboard the Ruco-Linda ship! The Dou family runs Sheung Chun Tong, the largest Chinese apothecary in Foshan during China’s Republican Era. During an epidemic, the apothecary is tasked with creating the medicine to stop it. But when the medicine fails and causes the death of Chung Gai Zhou, the Deputy Mayor/the future son-in-law of the Dous, the patriarch of the family is blamed and imprisoned. 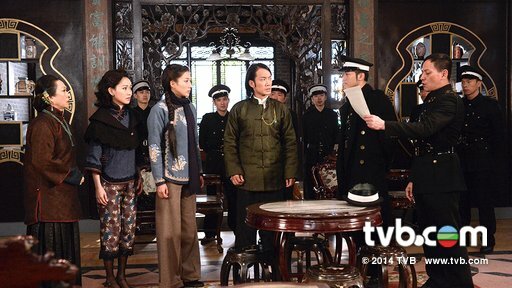 His only daughter, Dou Gai Kei, swears to her father that she will clear their family’s name and find the real cause of her fiance’s death. I initially skipped All That is Bitter is Sweet when it was airing, mainly because I (and just about everyone else) was too busy watching Line Walker. But while watching Eye in the Sky and falling totally in love with Ruco Chan, I backtracked and started to watch some of his other dramas. And that’s how Bitter is Sweet became the first drama of my “Ruco Chan Binge-Watch of 2015.” Besides some pretty glaring problems with the plot and character development in it, this drama still had an interesting storyline and shippable leads that made this a worthwhile watch. 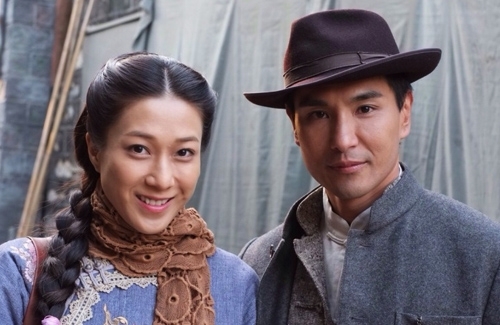 Even if the old-timey medical dramas aren’t everyone’s cup of tea, the very lovely and attractive chemistry between Linda Chung and Ruco Chan surely would be. Maybe because I had relatively low or nonexistent expectations for Bitter is Sweet, I found myself to be pleasantly surprised by how much I enjoyed it. The mystery/whodunnit aspect of the story really helped to maintain my interest level, especially when you have to listen to all those medical monologues over and over again. But with every high in this drama, there seemed to be a corresponding low. In this case, the intrigue and breakthroughs in the mystery is accompanied by illogical explanations and coincidences. Even the natural camaraderie between the main characters is somewhat ruined by the appearances of random ex-lovers and villains who are out to wreak inexplicable havoc. This was an ongoing theme for Bitter is Sweet, and it’s unfortunate that they weren’t able to strike a better balance between the extremes. As much as I LOVED and shipped Ruco and Linda in this drama, the writing really did them a disservice. I may have been converted to a Ruda (Linco?) shipper by this drama because of how good they looked and acted together, but their characters didn’t really mesh all that well. I think the problem lies with Linda’s character. Yes, yes; she’s a very lovely girl with the heart of an angel, but that was it. Dou Gai Kei was so one-dimensionally saintly that it was extremely annoying to see her repeatedly get fooled or conned by the evildoers around her. And of course when that happened, Ding Yat Yuen would just swoop right in to save the day. As much as the drama tried to portray her as an independent and strong woman, they would always then place her in these “damsel in distress” situations. Now that I think about it…maybe that’s why their characters were drawn to each other. Aha moment! Questionable characterizations aside, Bitter is Sweet was smart to include a mystery/conspiracy theory to drive the plot because that’s what kept it interesting. I could have done without the historical implications that underscored the conspiracy theory, but it’s not a dealbreaker. What I struggled with was how easily they were able to resolve the problems and difficult situations in this drama. It seemed like every time the characters were at the crossroads of anything, they would somehow always pick the right answer. Then again, drama-watching does require a certain suspension of disbelief…but still. Also, that ending?! WTF? I won’t spoil it, but feel free to interpret that reaction however which way you want. The acting was solid across the board here, but Ruco’s was definitely the best. Linda was predictably good in her role, but once again, it wasn’t a very well-written character. I will say though, she is one of the most natural criers I’ve ever seen. Like, I genuinely feel bad for her when she cries. The best part of this drama, hands down, was the chemistry between Ruco and Linda. They combined to rescue this drama from falling into the dreaded “boring and draggy” territory. 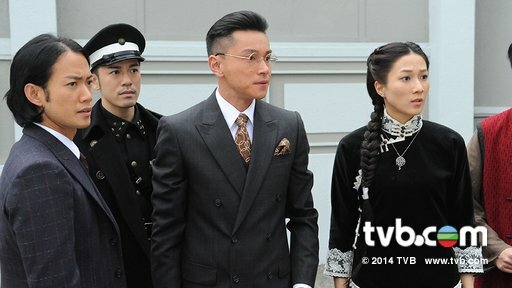 Raymond Wong was his usual shouty self, despite getting the chance to play two characters. Natalie Tong is okay, but her acting can seem really forced sometimes. Besides Ruda, the person I most enjoyed watching in Bitter is Sweet was actually Pierre Ngo. His character was terrible, but that just highlighted Pierre’s acting skills. But let’s be real, it’s all about Ruco and Linda. Keeping with the trend of the drama, there were some very good things about it but also some bad ones. Ultimately, I think the good outweighed the bad because I was never bored while watching All That is Bitter is Sweet. Frustrated maybe, but not bored. If you are able to overlook the poor character development and a sloppy and rushed finish, All That is Bitter is Sweet is definitely worth a watch. Ruco and Linda’s onscreen appeal and their ability to make the best out of a sometimes overwrought story makes this a worthwhile and effective drama even when it sometimes didn’t feel that way. Ruco was most recently seen in Eye in the Sky (2015) alongside Kevin Cheng and Tavia Yeung. Ruco and Linda previously collaborated on the anniversary drama, Brother’s Keeper (2013), in which they also played a couple. They were nominated for Best Actor & Best Actress, respectively, at the 2013 TVB Anniversary Awards. Ruco and Raymond Wong previously collaborated in The Other Truth (2011) & Slow Boat Home (2013). Natalie Tong, Shirley Yeung, and Jazz Lam (Hung Bing) played siblings in A Fistful of Stances (2009), along with Ruco’s EITS co-star, Kevin Cheng. The theme song for All That is Bitter is Sweet, “Medicine of the Heart/心藥” was performed by famous Hong Kong singer, Teresa Cheung. She sang the theme song for the 1983 version of The Return of the Condor Heroes, starring Andy Lau and Idy Chan. The sub-theme, “Big Love/大愛” was performed by Linda Chung.